we have been experiencing a long winter in tokyo this year. although it is already march, the temperature has not gone up at all yet. today i’m still wearing this thick winter sweater which makes me look like a cotton candy. fortunately however, the shelves in our neighborhood supermarket have started to be filled up with spring vegetables with bright colours of green and yellow. one of my favorite vegetables, ‘nanohana (菜の花, field mustard),’ was also there, and the menu for that night was decided. i made nanohana rice（菜の花ご飯）, which is freshly cooked rice with kelp, mixed with boiled nanohana (field mustard), shirasu (しらす, whitebait), takuan (たくあん, japanese pickles) and sesame seeds. 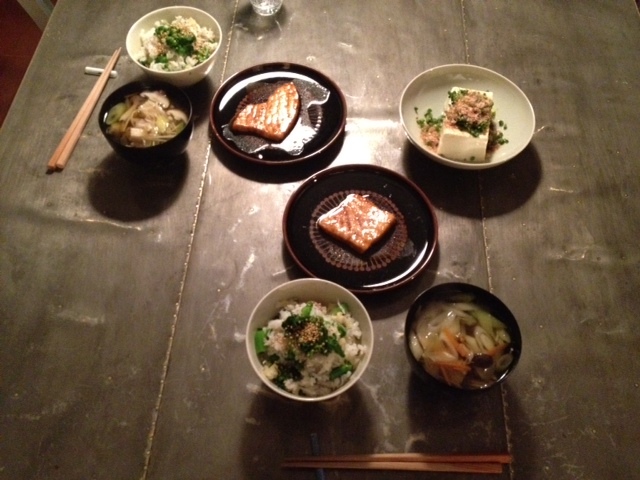 on the side, i made mixed mushrooms in dashi broth, and my mom’s famous sword fish nimono (煮物、simmered) to go with it. 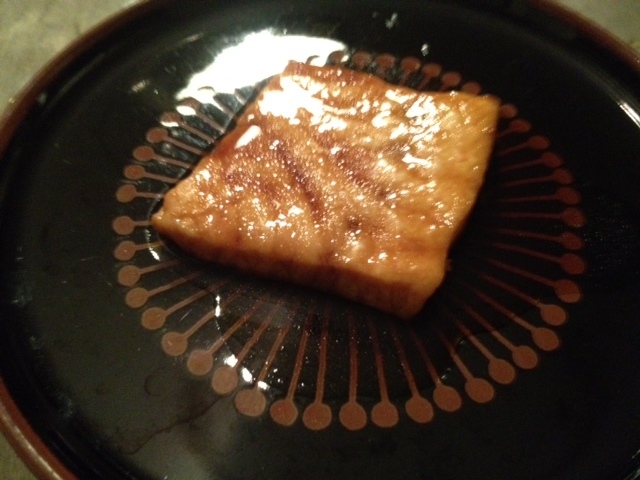 since the recipe for the nanohana rice is very simple as mentioned above, today i would like to share the recipe for my mom’s famous sword fish nimono. you will be amazed how easy it is to make, and how delicious it turns out to be with such little effort. 4. gently cover the fish with a sheet of aluminum foil in order to circulate the heat evenly (this is called ‘otoshi-buta (落とし蓋）’, which literal translation is ‘dropping lid’. it is very important to first boil the liquid mix and then cook the fish.